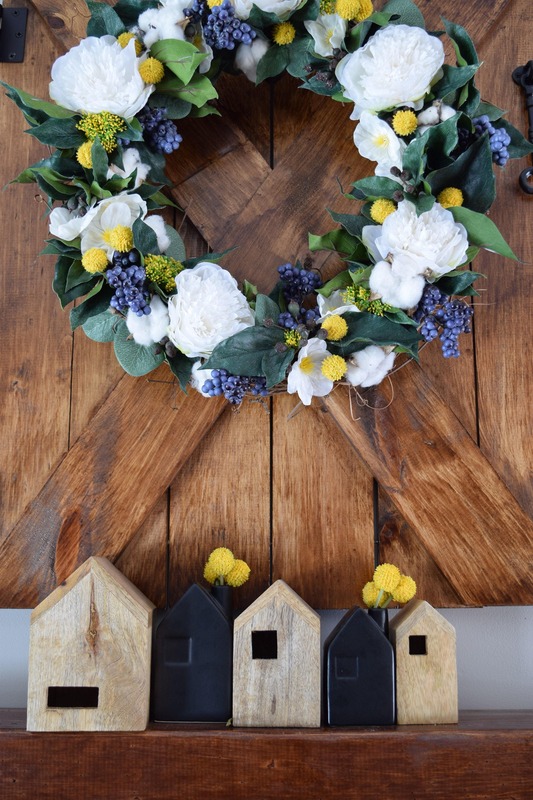 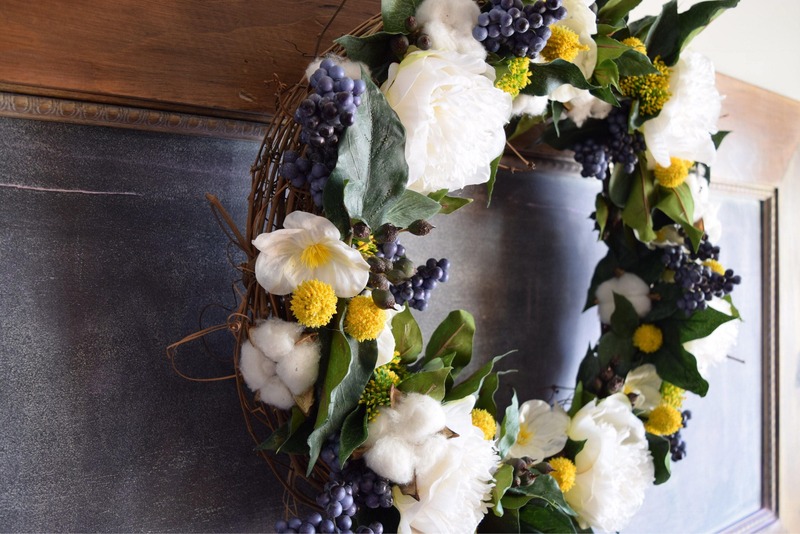 ** As seen on The Rustic Pallet** The “Mountainside Wreath” is a cheery Spring wreath and a gorgeous way to greet your guests! 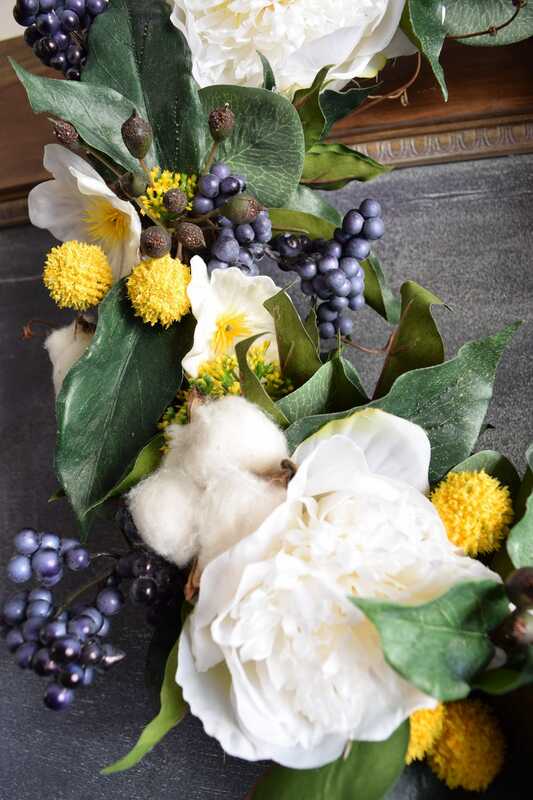 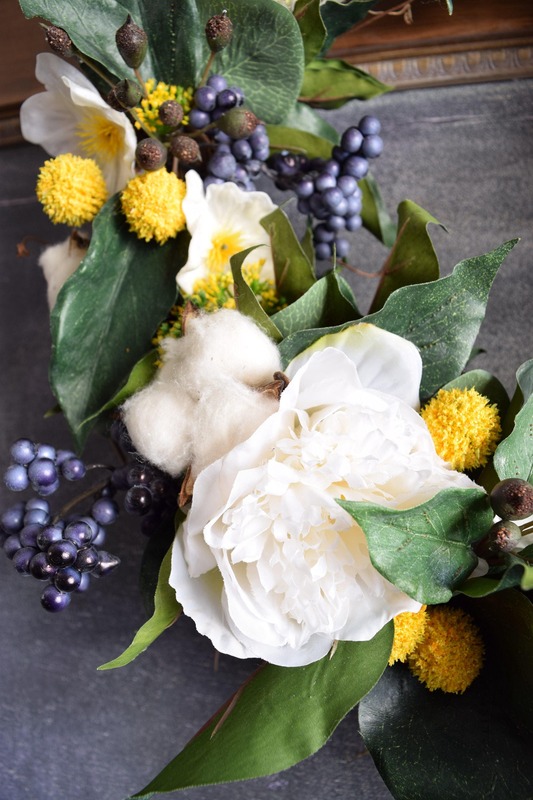 It is loaded with artificial peonies, blueberries, crespedia, cotton stems, buttercups and leafy greens. 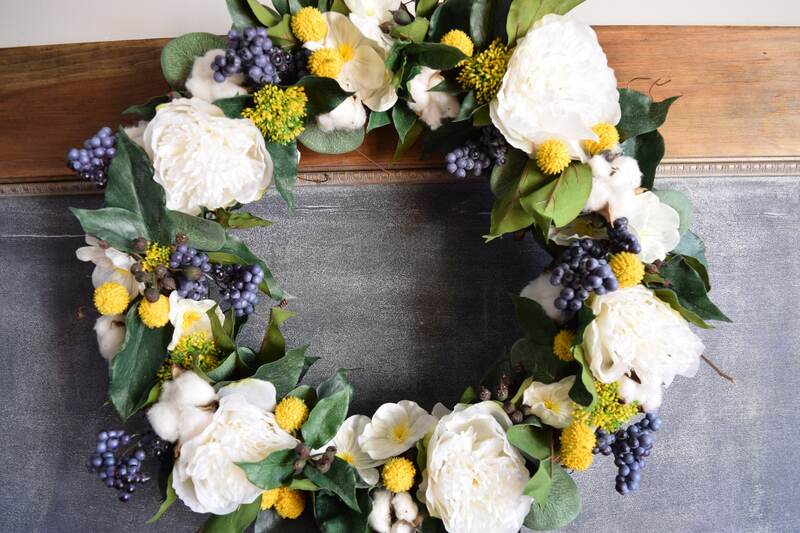 This wreath is approximately 22" in diameter and is very full! 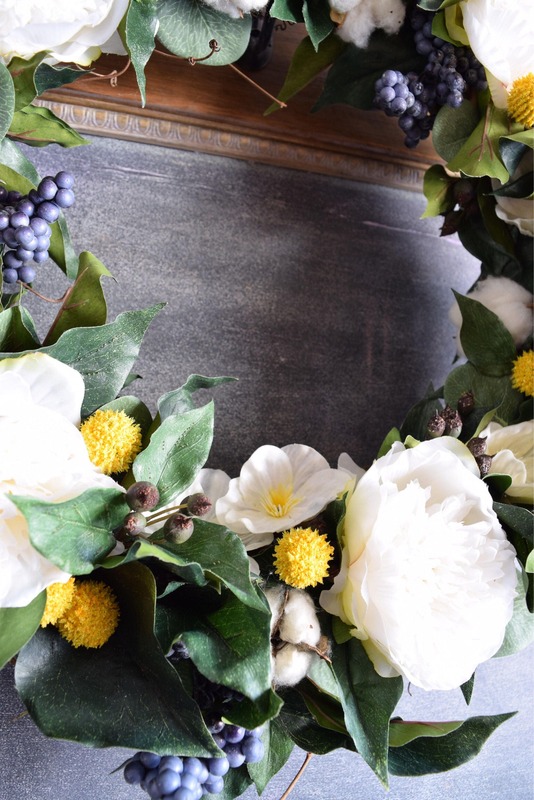 The base of the wreath is grapevine and ready to hang. 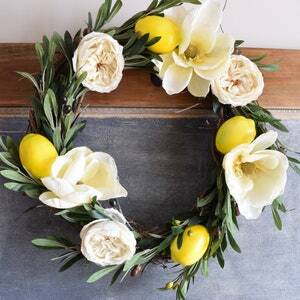 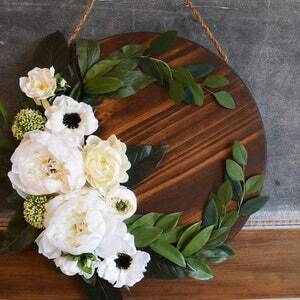 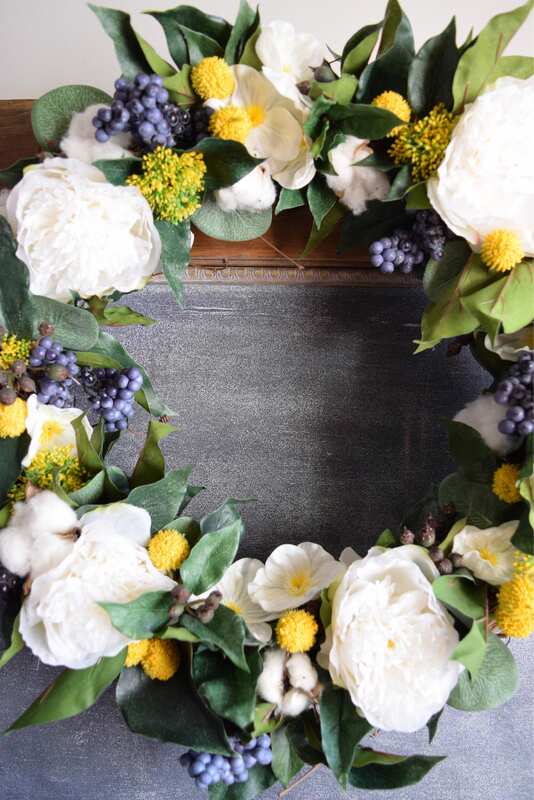 Double Door Wreaths: just add 2 to the cart and I'll make them identical to each other, unless specified otherwise. 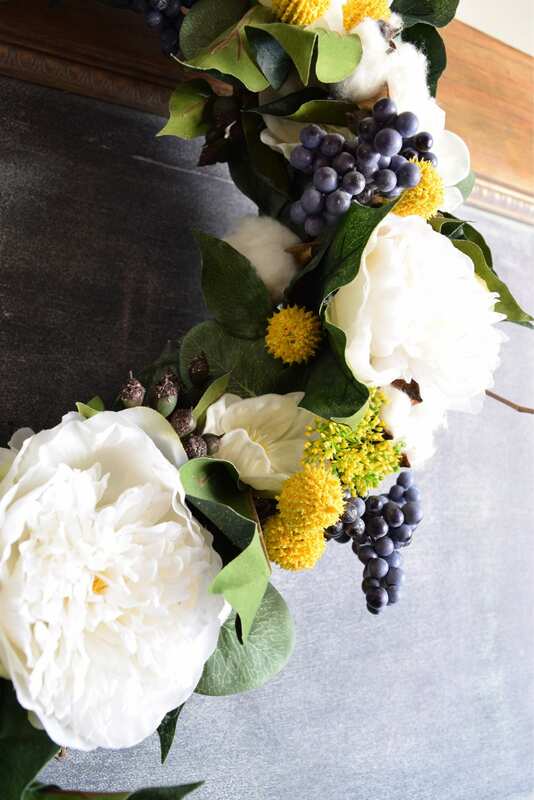 Use code DOUBLE to save $10. 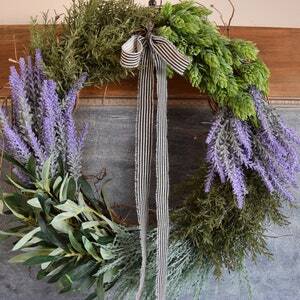 Wreath is made using waterproof materials and is sprayed with a protective sealant to repel mild weather. 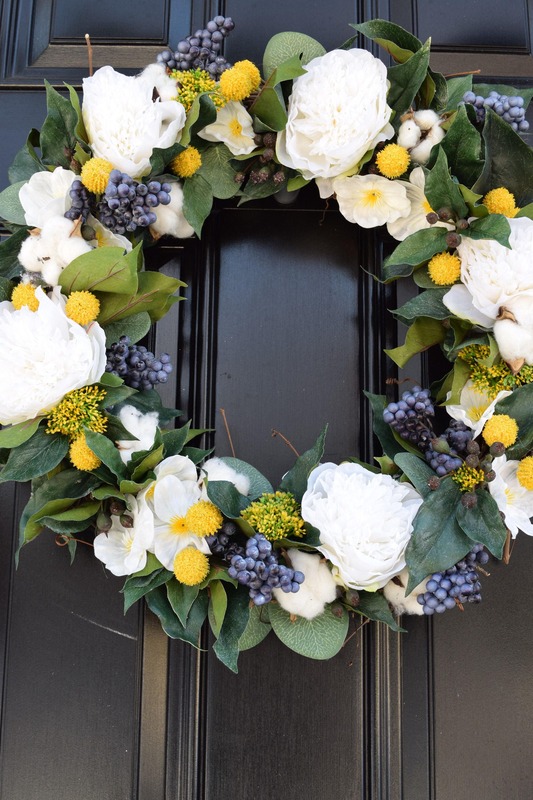 Please take your wreath indoors during inclement weather to ensure a longer lifespan. 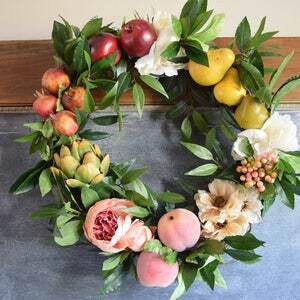 When properly cared for your wreath will last for years!